Specimen from the German aquarium trade imported as C. fowleri 'black Peru'. Two adult male individuals; note the thickened anterior pectoral-fin rays. fowleri: named in honour of American zoologist Henry Weed Fowler (1878-1965). Native to the Amazon basin in Peru, with its range appearing to extend west from the río Ampiyacu at least as far as Iquitos, meaning it should also occur in the ríos Napo, Nanay, and Itaya. Its distribution is somewhat unclear, however, not least because there exist problems with its identification (see ‘Notes’). For example, it may also occur in the ‘Tres Fronteras’ region further east, where similar-looking fish have been collected around the borders between Peru, Brazil and Colombia. Type locality is ‘Chancho Caño, near Pebas, 3°10’S, 71°46’W, Amazon River system, Loreto, Peru’. Observations of wild fish suggest that this species prefers smaller, quiet tributaries with clear, acidic water (pH ~5.0-5.5) substrates of fine sand and leaf litter, and extensive riparian vegetation. Minimum base dimensi0ns of 120 ∗ 45 cm are recommended. Corydoras spp. are foraging omnivores and most species will accept good quality, sinking dried foods, as well as small live and frozen varieties such as chironomid larvae (bloodworm), Tubifex, etc. C. fowleri is among the pickier species and may refuse to accept dried foods, however, while newly-imported wild fish are often infested with internal parasites and require constant access to live foods in order to maintain body weight during the acclimatisation period. Peaceful with the majority of other fishes, but males in particular can be aggressive towards conspecifics and other similarly-shaped species. This behaviour is most pronounced when the fish are reproductively active and males are competing for female attention. It is thus suitable only for larger community aquaria, and should be maintained in a pair or group comprising at least 4-6 individuals. Females tend to grow larger, and sexually mature individuals are noticeably broader and deeper-bodied than males. Sexually mature males possess thickened anterior pectoral-fin rays, while in females the ventral fins are noticeably rounded. 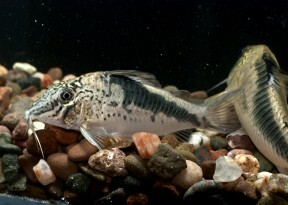 Can be bred in a similar fashion to many other Corydoras species, although it may be preferable to use pairs of adults rather than a mixed group in order to minimise aggression. When the female is noticeably gravid perform a large (50-70%) water change with cooler water, and increase oxygenation and flow in the tank. Repeat this daily until the fish spawn. C. fowleri is also known as ‘huanta cory’ and ‘milegros cory’ in the aquarium trade. It is often confused with similar-looking congeners, particularly C. coriatae Burgess 1997 and C. semiaquilus Weitzman 1964, both of which are also native to the Peruvian Amazon basin. The type locality of C. coriatae is the río Aguaytia, a tributary of the río Ucayali, but its description was published in an aquarium hobbyist magazine and we have been unable to obtain a copy to date, thus its diagnosis is currently unavailable. C. semiaquilus was described from Igarapé Preto, which corresponds to a tributary in the upper rio Juruá basin in Acre state, western Brazil. Following Weitzman (1964), C. fowleri differs from C. semiaquilus in the following characters: snout relatively short, measuring 24% of the body length without the head (vs. 32-33% in C. semiquilus); shorter head, measuring 26.6% SL (vs. 32.9-33.2%); smaller eye, measuring 6.1% SL (vs. 6.6-7.4%); dorsal-fin located more anteriorly, with predorsal length measuring 66.5% (vs. 85.2-85.5%)of the distance between the dorsal-fin origin and caudal-fin base. The author also noted that the two species might have a similar colour pattern in life, but that he could not be certain because only a single specimen of C. fowleri (the holotype) was available to him. 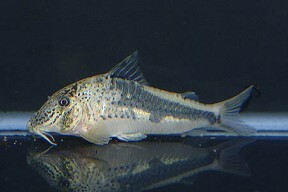 In addition, the colour pattern in aquarium fish traded or identified as C. fowleri is highly variable, but it is unclear whether such differences represent diversity within or between populations. Nevertheless, colour pattern is typically used to distinguish them, with fish from Peru possessing a greater extent of dark pigmentation on the body generally referred to C. semiaquilus, for example, although based on its type locality that species might be restricted to Brazil. 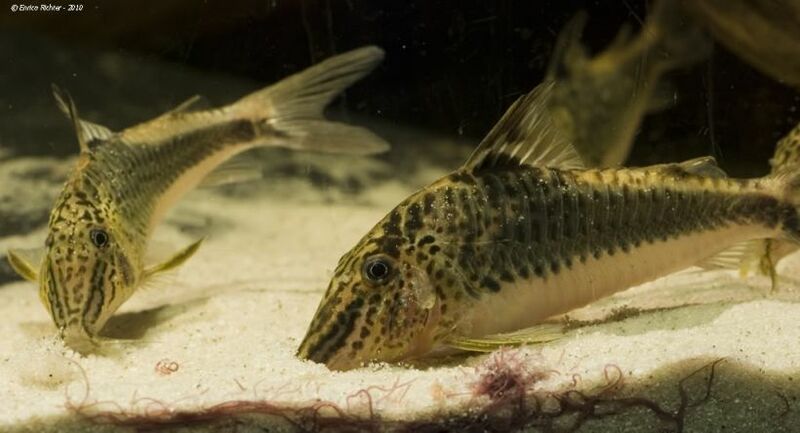 What is certain is that there exists a group of closely-related Corydoras species with long snouts which are native to southern Colombia, western Brazil and northern Peru, but that those in the aquarium trade are regularly misidentified with no clear diagnoses available for them. The images attached to this profile are examples of fishes referred to as putative C. fowleri. 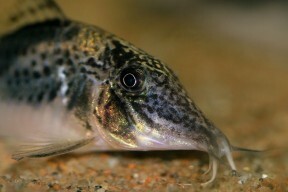 C. fowleri is one of a number of Corydoras species to possess extended mouthparts. Most of these grow larger and are more aggressive than other members of the genus, and they are commonly referred to as ‘long-nosed’ or ‘long-snouted’ cories. A new catfish of the genus Corydoras from the Peruvian Amazon. One new species and two redescriptions of catfishes of the South American callichthyid genus Corydoras.